LiteFit USA Recall by Bacai Inc.
FOR IMMEDIATE RELEASE - April 29, 2014 - Bacai is voluntarily recalling 13165 lot (lot number is found next to the expiration date) of LiteFit USA, to the retail and consumer level. This product is used as an herbal diet supplement and is packaged in plastic bottles of 30 softgels. Sample analysis by the FDA has revealed that this product contained sibutramine. Risk Statement: Sibutramine is a controlled substance that was removed from the market in October 2010 for safety reasons. The product poses a threat to consumers because sibutramine is known to substantially increase blood pressure and/or pulse rate in some patients and may present a significant risk for patients with a history of coronary artery disease, congestive heart failure, arrhythmias, or stroke. This product may also interact, in life-threatening ways, with other medications a consumer may be taking. Bacai is the distributor of LiteFit USA an herbal diet supplement manufactured by Global Herb, LLC. Bacai was approached by Global Herb to distribute its herbal diet supplement LiteFit USA which it guaranteed is made in the US and meets with all US health and safety standards. As proof of its legitimacy, Global Herb provided Bacai with the certification of analysis for LiteFit USA. Based on Global Herb’s guaranty and the certification of analysis, in the summer of 2013 Bacai entered into a good faith oral contract to distribute LiteFit USA. Subsequently, Bacai was contacted by the FDA and informed that, unbeknownst to Bacai, LiteFit USA contained Sibutramine. The affected LiteFit USA lots include the following lot number 13165, Expires: May 2017. 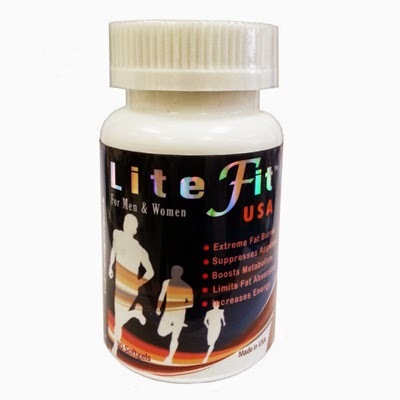 LiteFit USA was distributed worldwide to wholesalers, retailers, and through the internet. Bacai is notifying its distributors and customers by mail and is arranging for return and refunds of all Litefit USA sold in the US. Consumers/distributors/retailers that have product which is being recalled should stop using and return it to the place of purchase. Consumers with questions regarding this recall can contact Bacai by 714-775-0050 from 10:00 am - 6:00 pm PDT. Consumers should contact their physician or healthcare provider if they have experienced any problems that may be related to taking or using this drug product.